Permanent marker is distinguishable by modem shape and unfailing work. It marks on every kind of surface such as glass, metal, paper, wood, foil, fabrics (resistant to dry-cleaning). 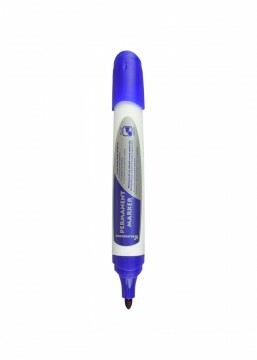 High capacity and the possibility of refilling the marker with fast-drying and waterproof paint is the guarantee of long-term use.This mariner Is recommended for people appreciating Individualism, quality and comfort of use.